All residents are part of the Austin College Club, via an annual subscription paid at the beginning of each year. The Austin College Club is the association of all students, Resident Fellows and Fellows of the College. It provides many amenities, services and facilities, plus the organisation of social and sporting activities throughout the year. All members are ensured an equal opportunity to participate in the activities and management of the club, and the yearly elections of the College Club Committee and Austin College Club President. Austin has many diverse spaces available to all students. These include the Large Common Room that is used for movie nights, celebrations and social gatherings, the “Great Escape” Chill out zone is our alcohol free space with a large TV, piano and huge bean bags, and our fully licensed Attic Bar with open fire place and pool table. 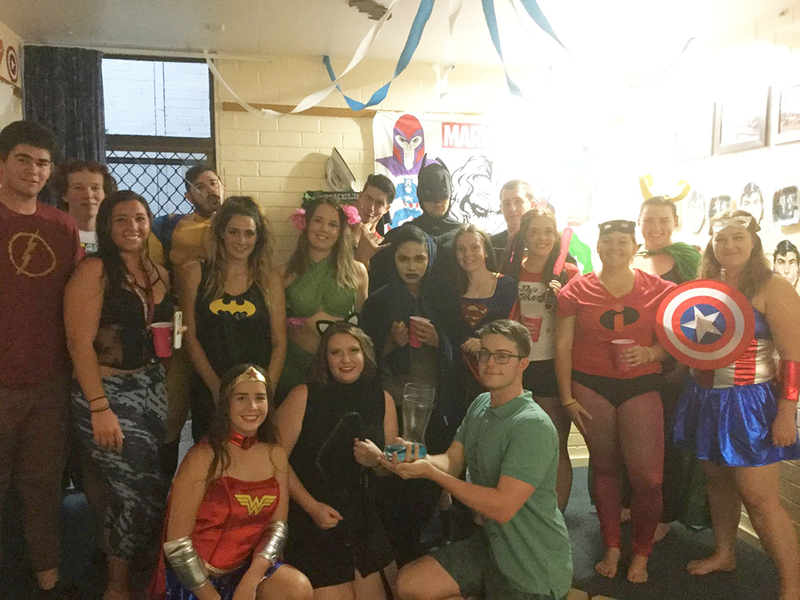 Austin College is well known for our social events throughout the year, which are organised by the Austin college committee. These events include a varity of themed nights such as LCR party, ball, barn dance and our famous bierfest. Throughout the year Austin participates in inter college sporting competitions against the other UNE colleges, known as President’s Trophy (Male) and Mary Bagnall (Females), as well as cultural events including music and drama performances, theatre sports, debating, arts and craft, which is known as Sir Frank Kitto (SFK). Your Floor Life - Family, Fun and Friends for Life! Each floor has their own special unique bond. This ‘bond’ starts from the moment you arrive, with your floor theme which can be anything from Aussie Icons to Jurassic Park to Under the Ocean or Super Heros. Floor events are optional and held throughout the year including individually themed floor parties, ten-pin-bowling, skating, dinners cooked at college or eating out in town and movie nights etc. and new to 2019, “My Kitchen Rules” competition between floors! The people who are on your floor become your little family away from home and friends for life! There are five formal dinners each year: which are Commencement, Charities, Parents, Sorties and Cultural and Valedictory. 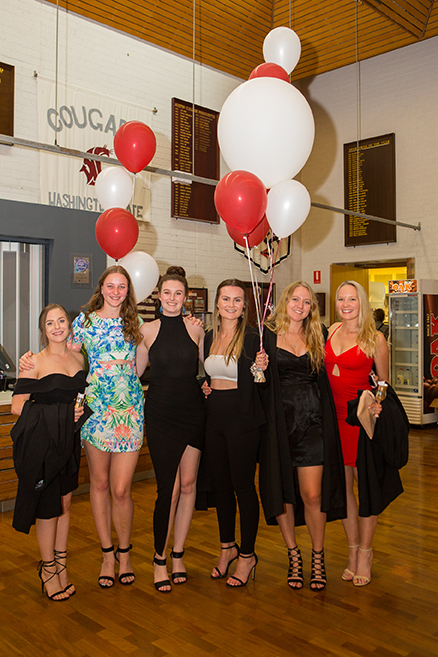 They are highlights on the college calendar and a great opportunity to get dressed up with your college friends and celebrate the achievements that we have made as a college throughout the year . Many students chose to study in our dining hall where we also hold our weekly Studyfest. Aside from access to their Academic Mentors, students also enjoy the array of healthy and not so healthy snacks which Studyfest provides. 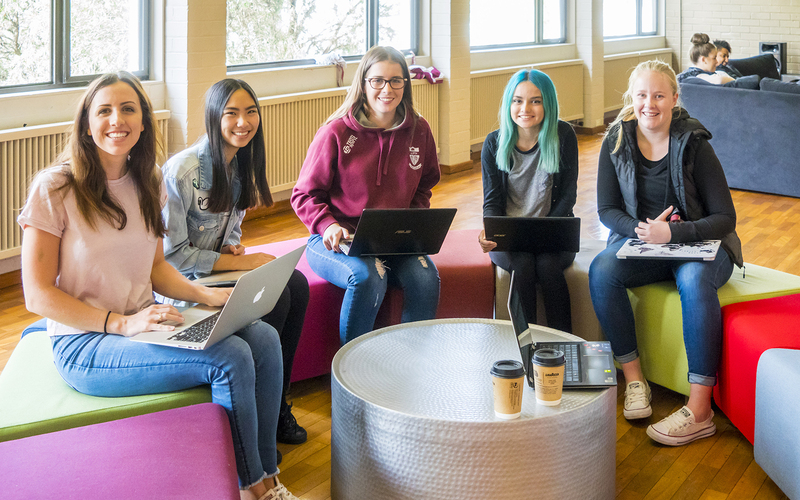 The Large Common Room is used for academic workshops throughout the year covering essay writing, study skills, scientific and mathematic literacy and exam preparation. 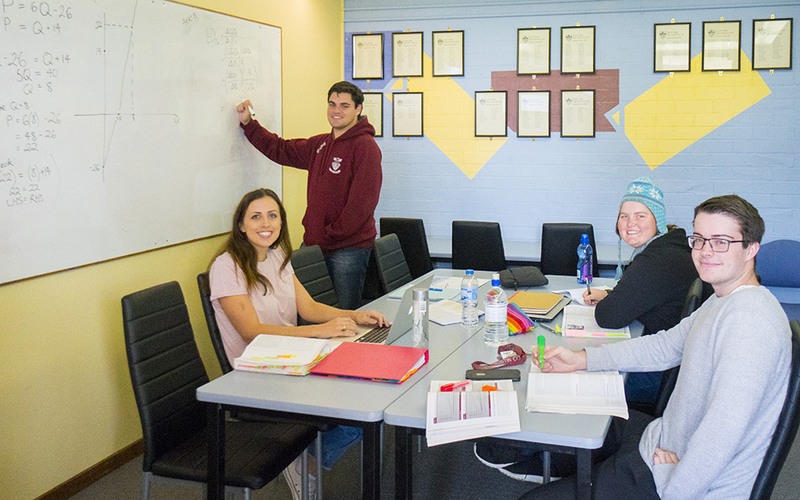 The Study Room is a great environment for small study groups and tutoring. At UNE, Austin is at the forefront of sport. Everyone at Austin is encouraged to participate. 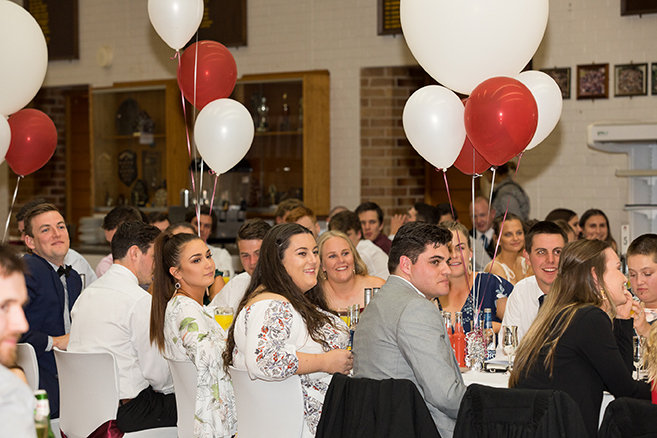 Each year Austin holds a Sporties Dinner to recognise our sporting excellence. 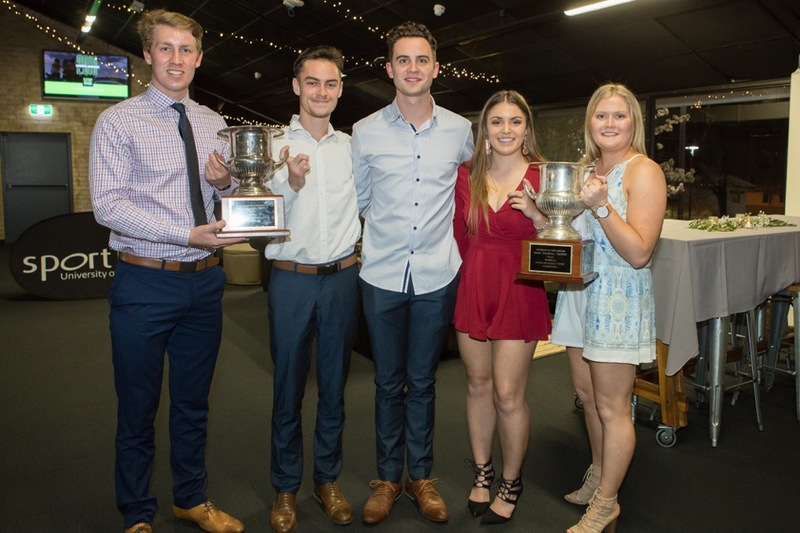 Throughout the year, everyone has the opportunity to represent Austin and/or Armidale through town competitions for various traditional sports such as soccer, rugby union, rugby league, netball and hockey. We also participate in mixed competitions for soccer and netball, which is a great way to meet new people and get involved. Austin also hosts competitions in 'Block Dodgeball'. Noona is our own take on Touch football for the boys, with a few added Austin rules and Touch Premier League for the girls. 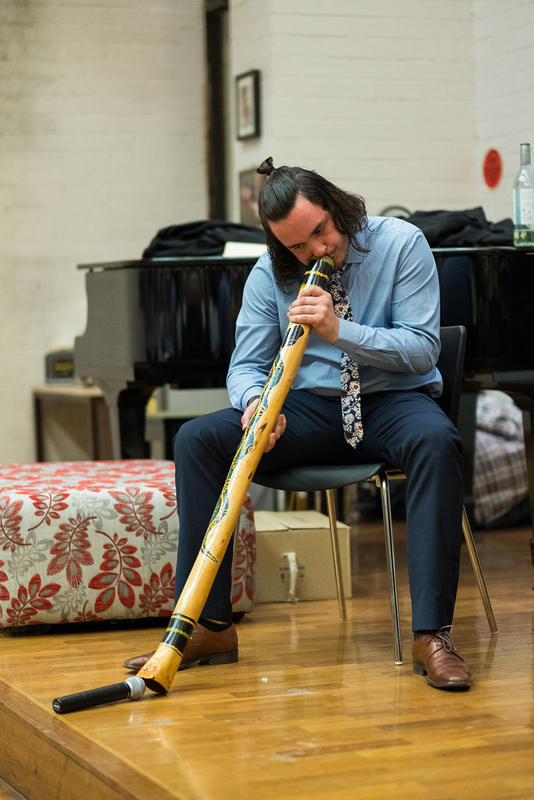 These are played throughout the year and are great fun with a chance to socialise with everyone on your floor and college. 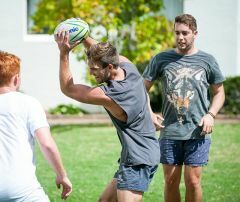 All Austin residents have the opportunity to be selected to represent UNE at the Northern University Games and the Australian University Games. 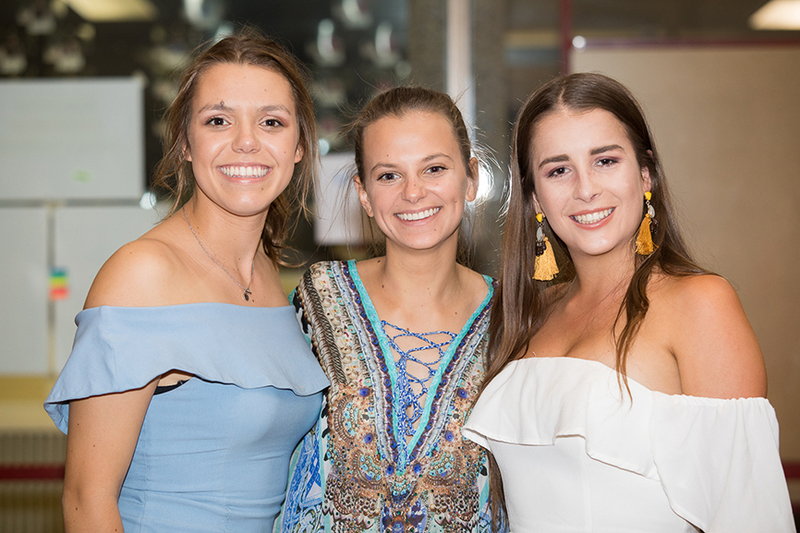 Not only are these prestigious events, but they offer participants an invaluable chance to travel and meet university students Australia-wide. Singing and performing at any of our 5 formal dinners. Theatre sports, Mass Participation, debating, arts and crafts, small music ensemble and public speaking as part of our annual SFK events competing against the other colleges at UNE. 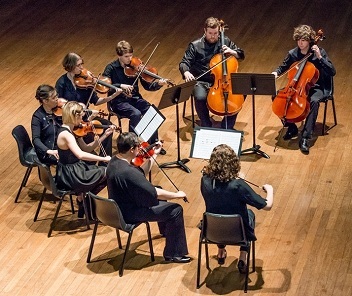 In 2013 our Head of College, Andrea Gledhill, established the String Quintet, Flute Quartet, Jazz Ensemble and Choir for talented musicians throughout UNE. 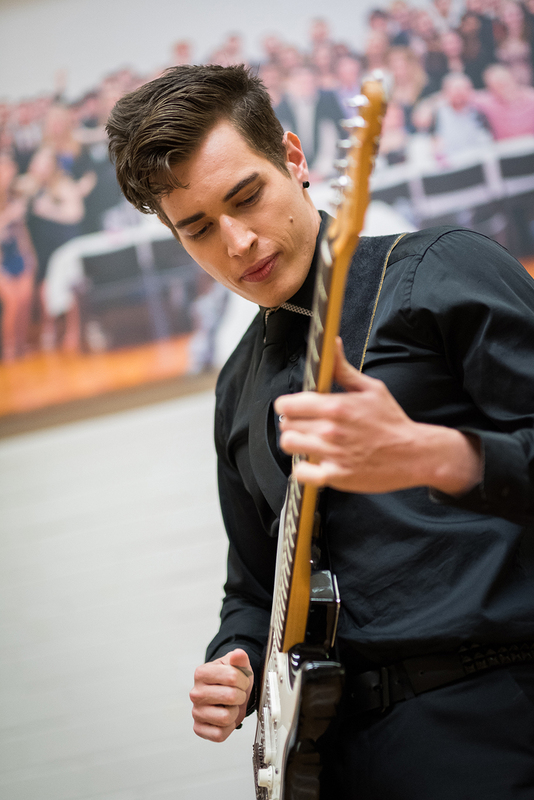 The ensembles are formed each year from the huge talent that emerges within all UNE Colleges. We rehearse once each week at a regular time with highly skilled tutors, and present two public concerts annually. 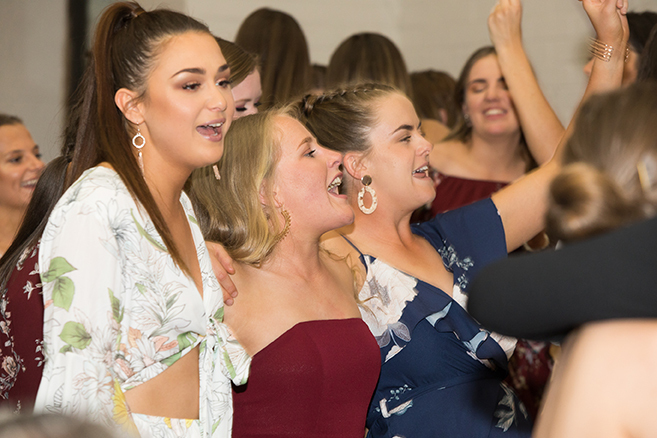 Some of the groups have also performed at prestigious UNE and Armidale events and successfully participated in local eisteddfods. 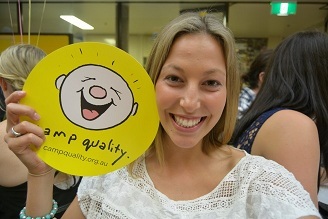 Austin has 2 chosen charities, Camp Quality and Westpac Rescue Helicopter which our Charities Representatives raise money for throughout the year. 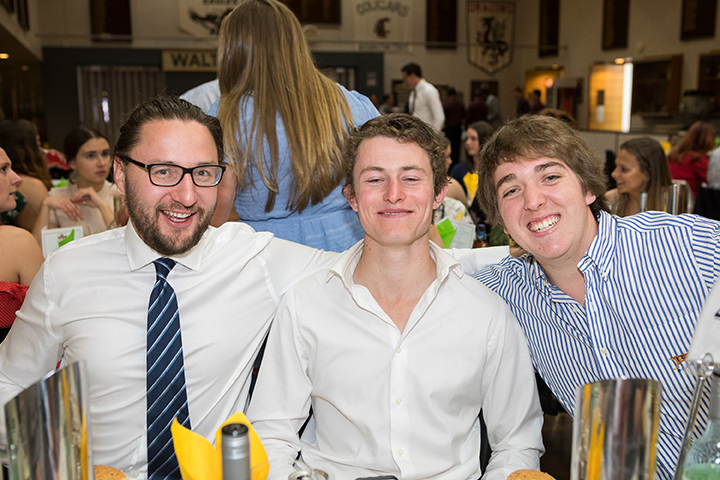 Each year, Austin College also provides support to a different Charity or community group, which is highlighted at the Annual Charities Dinner, featuring a guest speaker from the nominated charity. Austin has two 'mothers' who make it their business to support you as individuals. Maree Rogers, our Office Manager is always a friendly face in the office and guardian of the lolly jar on the front counter. She is available to help you on all the administrative questions you might have – from fee payment to flexi-meal enquiries, mail collection and lost keys. Our Head of College, Andrea Gledhill, always has an 'open door'. She is here to guide and support you through your years at college and university. You will be greeted on arrival by our trained assistants, the Senior Resident Fellow (SRF) and his team of Resident Fellows (RFs). Each floor (which will become your extended family), has a dedicated RF who has been appointed to help you to adjust to college life and give you advice on how to make the best of your college experience. Every Tuesday evening the College 'Study-Fest' takes place in the College Dining Hall. The Academic in Residence and the Academic Mentor team are available for every student in attendance. Particular attention is given to support for First Year students. Presentations are arranged throughout the year in areas like study skills, essay writing, scientific/mathematic literacy and examination preparation. The Head of College loves to see a jam packed Dining Hall and provides an array of snacks every week. There are no social events two weeks prior the exam periods which helps ensure that everyone can focus on their studies. The Resident Fellows monitor noise levels and students can call the Duty Phone at any time of day or night to request a Resident Fellow address with any noise issues. 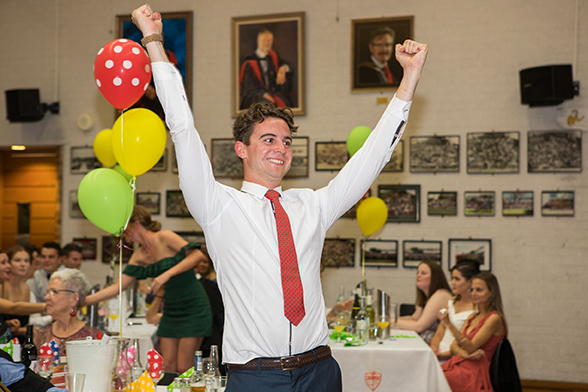 Each year academic achievements are celebrated at Commencement and Parents' Dinners. At Austin each floor competes for the highest grade averages to win the coveted "Da Vinci" Trophy. We are proud of the high level of academic achievement at Austin. Students who achieve a High Distinction Average receive an HD watch. We also give out Distinction Average and Credit Average Awards. Students who achieve a single HD or Distinction receive a certificate of Merit. College Club Committee positions, including President, Vice-President, secretary, treasurer, Sports and Cultural Representatives and fresher representatives. All Leadership positions earn points towards the New England Award.